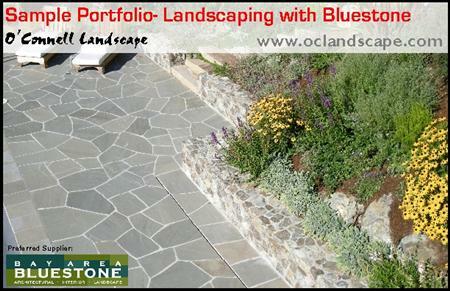 Bluestone is one of our favorite natural stone materials for landscape. Bluestone’s color range of blues and grays work great with most design schemes, its durable, and its available in multiple sizes for diverse applications. Here is a new .pdf version of our bluestone installations and design applications.